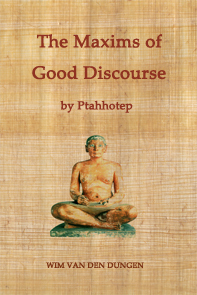 The translation of The Maxims of Good Discourse is part of my Ancient Egyptian Readings (2016), a POD publication in paperback format of all translations available at maat.sofiatopia.org. 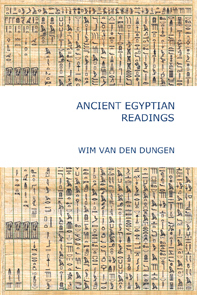 These readings span a period of thirteen centuries, covering all important stages of Ancient Egyptian literature. 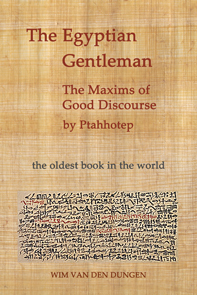 Translated from Egyptian originals, they are ordered chronologically and were considered by the Egyptians as part of the core of their vast literature.